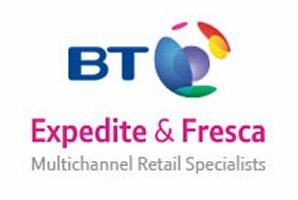 BT Expedite, the retail software division within the BT Group, is still used by a number of large retail stores for both their offline and online retailing. Originally marketed as BT Fresca back in the early years of the internet in ‘the year 2000’, it was sold to BT in 2008 as BT Fresca, and now is found as part of Aptos and BT Expedite. The suite often includes the Mercatus merchandising platform; and the ecommerce platform FrescaCommerce, as well as CRM, POS, merchandising, and audit and operations management retail software. The software is used by big brands across Europe, and often encompasses a number of spin-off tools and utilities which become the bedrock of entire commercial operations and relied upon for day-to-day operations. The close-knit ties between software and commerce, often extended over many decades, requires a significant amount of planning to even begin to consider moving to another platform or consider new offerings and features. There is often some very understandable resistance from customers and management, as it can be fraught with technical problems, new processes and training costs. However there is significant demand for improved processes and functionality. We’ve worked with a number of clients who have used the platform for many years, and constantly come up across the same issues with regards to website – limitations on site design including Mobile and Tablet users, an inability to add ‘standard’ features such as delivery and collections, and a lack of control over changes and future costs. There is also concerns over security and support of the site given the age of the suite of tools. On the other hand, the backend systems are well-liked for product management – particularly with stock control, images, and category and descriptions. Having worked with many import and export system, we’ve been able to uniquely come up with a custom, and reliable system for integrating and replacing each of these components; either at-once, or in part. Most recently we have our own custom set of import systems for integrating the BT Expedite backend systems, including products, images, stock levels into Magento, on a daily basis. We have also been able to migrate customer data, including usernames and in this case, even passwords too. Since many users of the platform have their own way of working, or have their own unique requirements, we’re in the position to be able to help for any number of requirements or thoughts for moving away, or replacing part of their existing platforms and infrastructures. If you would like to discuss, or have some more information, please do get in touch.